I used to watch this cartoon when I was growing up, called the Mysterious Cities of Gold. It was about these three kids who were searching for El Dorado, and involved Spanish conquistadors, and flying around in a golden condor. I’m sure you can see why I used to love it. Anyway, one of the civilisations the kids ran into a couple of times in the series were the Olmecs. They were depicted as strange guys with funny heads and point ears and were generally mean-spirited. They were the bad guys. 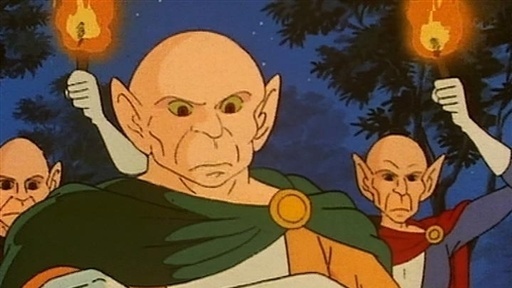 Now I know this was a cartoon depiction, but I’ve always thought of them as the bad guys when it comes to Central American civilisations because of this. So I was surprised someone would name a cafe after them. I stopped in with Mr D for a quick dinner one Friday evening. It wasn’t too busy, which should have tipped us off, because the rest of the Bridge Rd strip was buzzing with the post-work/dinner/football crowd. But Mr D had been there recently for lunch, and said it was OK. I was in one of my trademark indecisive moods, so we settled on Olmecs. If we hadn’t, I’m fairly sure I would have made us wander Bridge Rd for another half hour, and finally have settled on something along the same lines anyway. I get like that. Having been on a flesh-fest diet for the previous two days, I felt it was necessary to omit meat from this meal, so I had the vegie burger. Yeah, I know, not such a healthy option, really, with those chips. Oh, and FYI, it says french fries on the menu, but they’re definitely chips, not french fries. The burger itself was not bad; it was tasty, though it had a tendency (like a lot of vegie burgers) to fall apart too easily. And I get that Turkish bread is great, but it bothers me when I order a burger and the bread comes out rectangular. Just saying. Mr D had the vegetarian pizza, which was a decent size, but rather underwhelming. Stuck in the no-man’s land between thin and thick crust, it was neither crispy nor doughy in that good way. The toppings weren’t anything to write about either, so I won’t write any more about them. Apparently the bakery part of Olmecs is really good – there were a couple of people who came in for take away cake while we were eating – and I’m assuming it’s the sort of place that churns out a decent breakfast. It’s pretty family friendly as well (read there was a screaming child up the back, and three little tykes running around the front). I’m not sure I’d go back – they’re not evil and they don’t have pointy ears, but there are better options on Bridge Rd. When you said "The Mysterious Cities of Gold", I had a total flashback – I think I used to watch that, but I can't be sure! Ah, 80s kids TV. Dora just does not cut it these days.